At Great Milton C of E Primary School we use a rich variety of ways to teach maths. We plan our maths teaching in accordance with the requirements of the National Curriculum. Much of this is taught in the daily maths lesson, but additional opportunities for developing investigational strategies are also provided. Children are encouraged to actively question and ask why things are true and to explain their thinking. Our aim is that all children will become confident, competent and have an enjoyment of the subject. Whilst our daily maths lessons follow the expectations of the National Curriculum, each teacher knows the children in their class extremely well and is quick to take into account the needs of individual learners. To this end we are able to support children with well-resourced classrooms, experienced teaching assistants and appropriate apparatus. We also aim to further challenge our most able learners through the use of a deeper, broader approach to their mathematical understanding. Here at Great Milton C of E Primary School we believe our vision of “loving-to-learn” is fulfilled in the maths curriculum we offer, which embraces the National Curriculum aims and ensures our children are mathematically ready for their life journey. At Great Milton C of E Primary School we link our mathematics teaching wherever possible to real-life situations, such as shopping, so that our children quickly see the relevance and the way in which mathematics skills are essential to their daily lives. Each fortnight we share and support successes in maths by nominating a child from each class to be the mathematician of the week. Children are chosen for a number of reasons which include applying known strategies to solve problems, persevering with a new concept and for simply having a go. The children focus on the basic skills as well as having a weekly problem solving lesson where they are able to apply their learning. Children also engage in a range of Mental Maths activities and are encouraged to learn their times tables facts at home to support the learning that they do in school. Congratulations to the six children, from year 5 and 6, who represented our school this afternoon at Garsington Primary School. 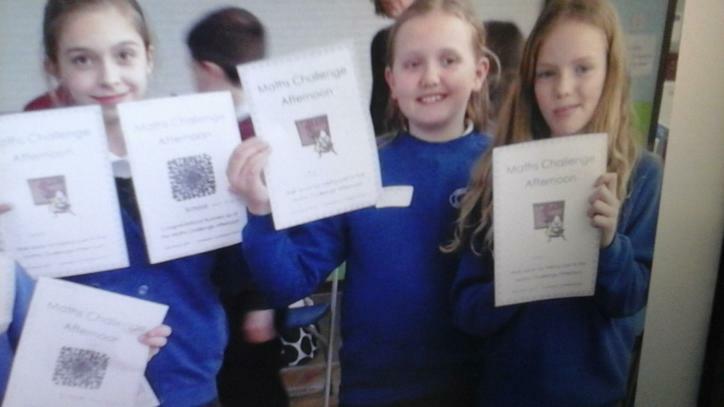 They worked in teams of two and completed three separate difficult challenges. We are very proud of them all especially as one of our teams came second. Despite the nerves all the children showed a great growth mindset to take on the challenges successfully. There were sixteen teams representing schools in our partnership and it was a very close competition. Thank you to everyone who took part in the half term challenge. Your entries impressed us greatly and made us extremely proud of the fabulous learning that happens in our school; this truly enabled you to show off what you know. Look out when you walk through the reception area, as we have displayed some of the entries and put others in a tray for everyone to look at. Elf, Tawny and Barn Owls - we were amazed at all the interesting ways you recorded and presented your findings. You definitely showed us you were ready to spread your wings and fly high with our challenge. Snowy, Boreal, Eagle and Hawk Owls - we were definitely challenged by the many ways you made 572. You certainly showed us you were ready to soar to great heights with our challenge. In this week's celebration assembly we will be announcing winners and giving out certificates, so listen out carefully for your name. 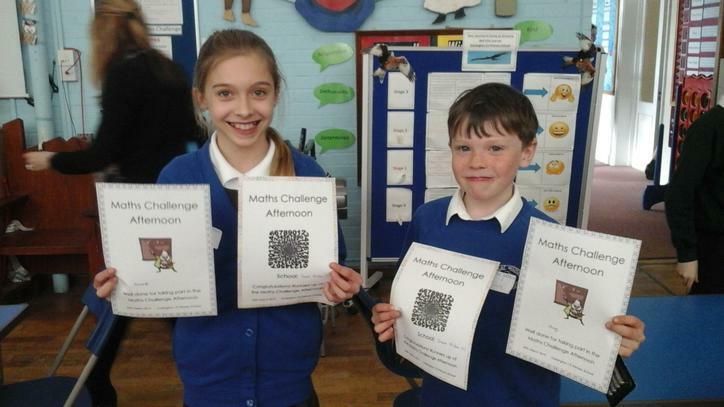 Once again thank you to all of you who entered and showing us that maths in our school is GREAT! 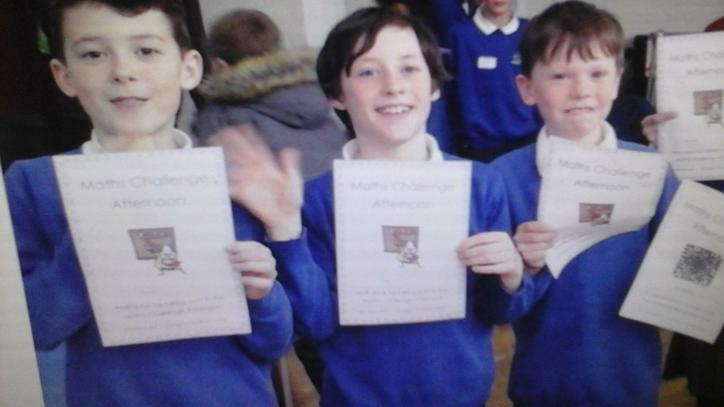 On Tuesday, six year 6 children travelled to Magdalen College School. 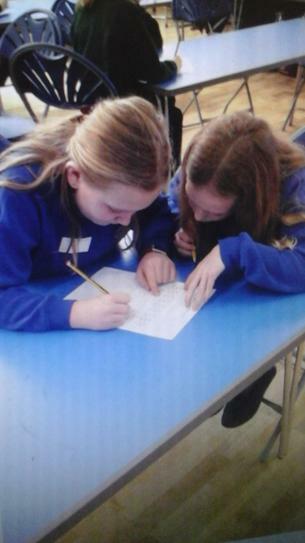 They were selected to represent our school in the Primary Math Challenge with ten other schools from Oxfordshire. 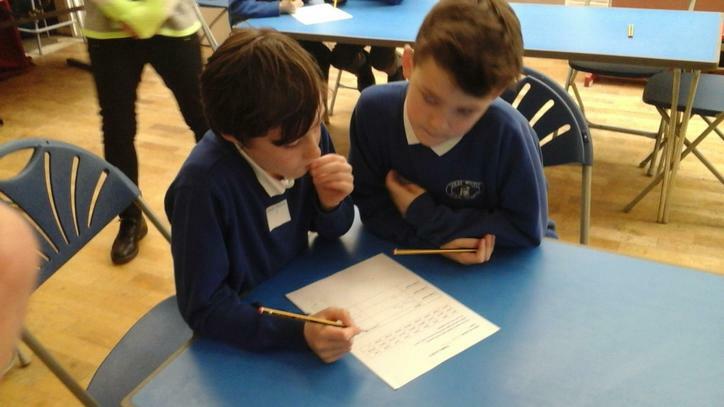 The children were split into two teams and had fourteen fun and enjoyable challenges to solve. The leap frog, coloured cube and pentomino square challenges were their favourite. The magical cat challenge proved to be a little too challenging and was the least favourite activity. 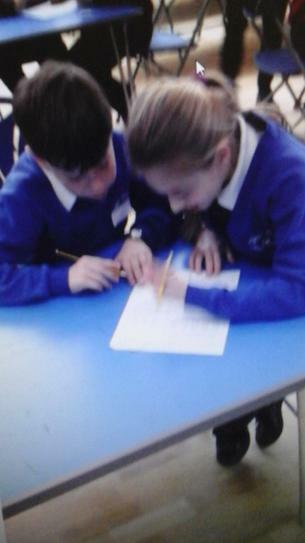 The group are now going to set up a math challenge event and be mentors for the rest of the year 6 children.